ON 24th October 2017, between 1pm to 2:30 pm Honourable Minister Grace Grace, Minister for Employment and Industrial Relations Minister for Racing and Minister for Multicultural Affairs along with BAPS Swaminarayan Mandir Brisbane hosted the celebration of the auspicious Hindu festival of Diwali and Annakut in Queensland Parliament House for the first time. Diwali, commonly known as the Festival of Lights, is a celebration of the sentiments of light over darkness, knowledge over ignorance and good over evil. It is a time during which Hindu’s from around the world light traditional lamps and pray for peace, prosperity and ask the Lord to dispel ignorance and bring spiritual enlightenment. Annakut, the following day after Diwali, marks the beginning of the Hindu New Year. On this day, the Annakut, or ‘mountain of food,’ is offered to the Lord as a symbol of appreciation and gratitude. Devotees lovingly prepare vegetarian delicacies and offer them to the lord while singing devotional songs. Hon. Minister Grace Grace, Hon Leeanne Enoch (Minister for Innovation & science and Minister for small business), Mr Tim Nicholls (Leader of Opposition), Mrs Archana Sing, honorary Consul of India – Brisbane were the chief guests apart from other Indian community leaders. The function begins with the recitation of the Shanti Paath to usher in peace into everyone’s hearts and minds. Keynote speeches were delivered by Hon Grace Grace (Minister for Employment and Industrial Relations Minister for Racing and Minister for Multicultural Affairs), Mr Tim Nicholls (Leader of Opposition) and Mrs Archana Singh, Honorary Consul of India, Brisbane. Hon. 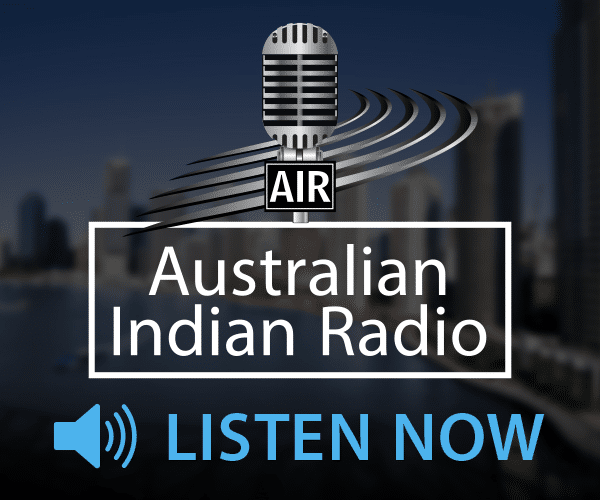 Grace Grace and Mr Tim Nicholls both acknowledged the significant contributions made by the Indian community to Australia. Both reflected on the values of Hinduism, and Diwali, and were proud to see them being displayed through BAPS in Queensland Parliament. Both parliamentarians noted the significance of the Indian diaspora to the Queensland state and appreciated the hard working and entrepreneurial nature of the Indian community. Mrs Archana Singh reinforced the one of the key messages of His Holiness Mahant Swami Maharaj of Unity, and that unity was one of the key values that leaders of all the Indian communities should guard as sacred, and that unity between the Indian community and the wider Queensland community should never be broken at any cost. Hon Leeanee Enoch, Mr Ian Walker (Shadow Attorney General), Mr Clem O’Regan (Assistant Police Commissioner QLD), Mr Steve Biddle (Regional Director QLD – Department of Immigration) and Mr Palani Thewar (FICQ President) were welcomed traditionally with applying Chandlo and presented garlands of fresh flowers. Over 60 distinguished Members of Parliament, Honorary Consul’s, respected leaders of various Indian and Hindu communities and BAPS guests attended this vibrant event in the Premiers Hall of the Parliament House. of food”) where a vast array of pure vegetarian food is traditionally arranged in tiers or steps resulting in a spectacular display. The event was extremely well received by all attendees and served as a valuable opportunity to strengthen inter-community relationships as well as relationships with Members of QLD Parliament. to develop better citizens of tomorrow with high esteem for their roots and culture. Its 3,300 international centers support these character building activities. Under the guidance and leadership of His Holiness Mahant Swami Maharaj, BAPS aspires to build a community that is free of addictions as well as morally, ethically and spiritually pure. For more details, please visit www.baps.org.